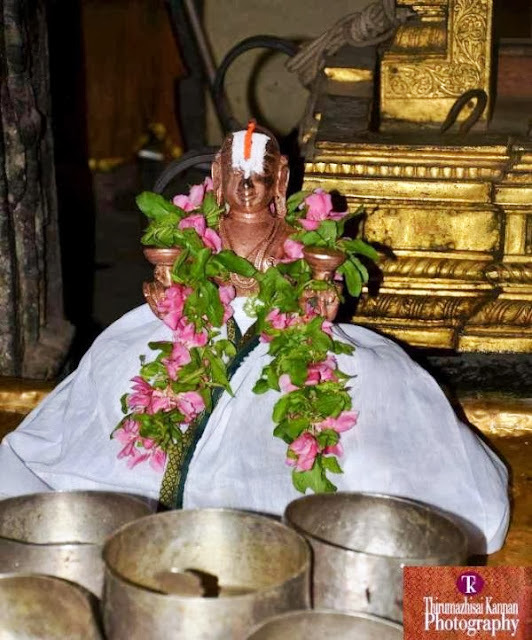 Today 23rd June 2018 is day 1 of Azhagiya Singar Brahmothsavam – this day being ‘Swathi nakshathiram in the tamil month of Aani’ has added significance, being the birth day of Periyazhwaar. At Thiruvallikkeni for sarrumurai of Azhwargal / Acaryas, there would be purappadu with Sri Parthasarathi. 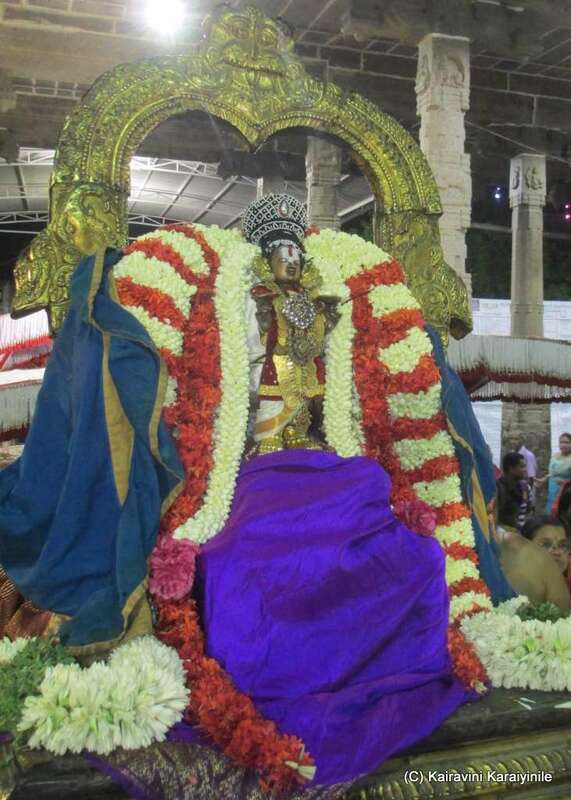 Today being Azhagiya Singar brahmothsavam, there was to be purappadu for Azhagiya Singar in Venugopala thirukolam on ‘PUnnai kilai vahanam’, and Periyalwar would have accompanied Him. 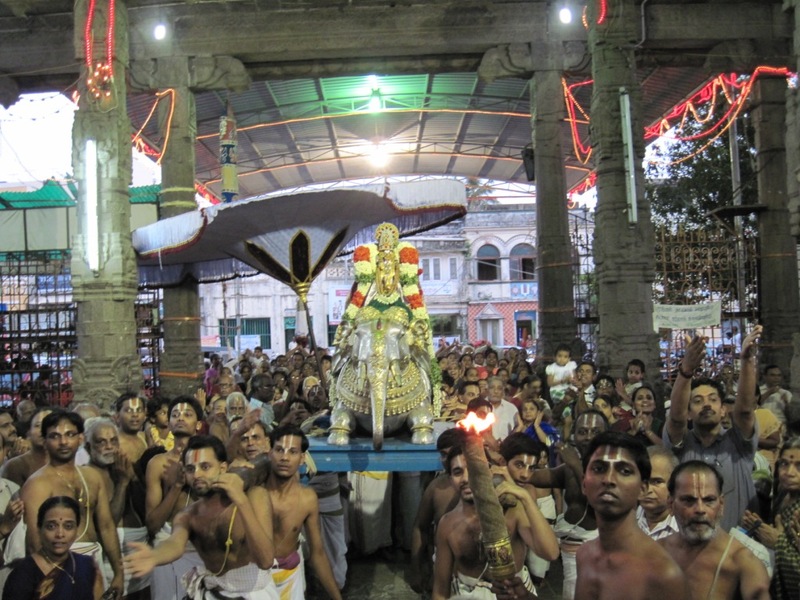 Periyaazhwaar was born as ‘Vishnu chithar’ at Sri Villiputhur. With exceptional commitment, he rendered floral service to the Lord Vada Bhathrasayee. With the blessings of Lord, he proved before the Pandya King, the uniqueness of Sriman Narayanan. He was honoured by the King and was taken around atop bridled elephant. 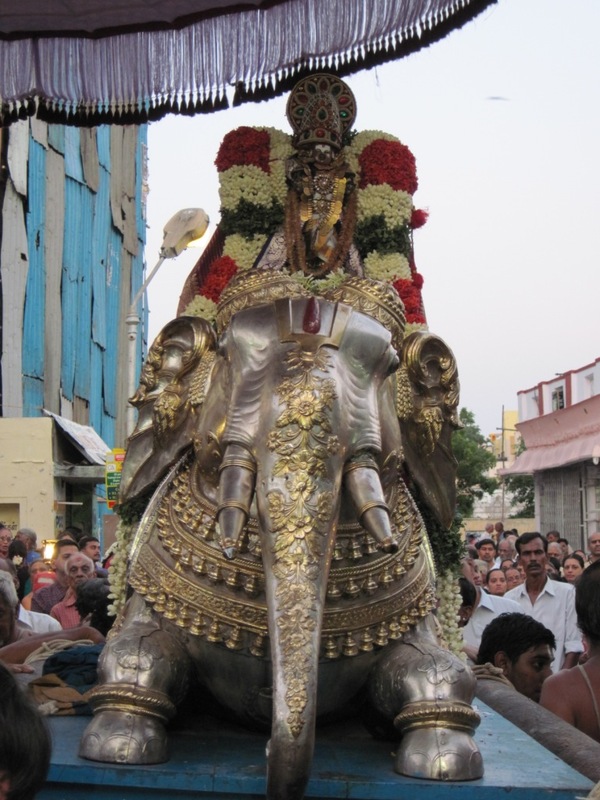 To honour him Lord Sriman Narayana along with Pirattiyar appeared on Garuda vahanam and Vishnu Chithar instead of asking for favours [which any other normal human would have done] started singing paeans in a manner that he sought that HIS wealth and other blessings should remain as they are without diminishing in any manner. Such was his devotion that he was called ‘Periyaazhwaar’ –the big among all others. Let us prostate at the feet of the Alwar and pray that we are bonded with Emperuman ever. PS : This evening Sri Thelliya Singar reached vahana mantap after pathi ulavuthal ~ but due to some contingency, there could not be purappadu. Sri Azhagiya Singar would stay tonight at Sri Nammalwar sannathi and kedaya purappadu will be performed tomorrow. After that that there would be purappadus (2) of the day. 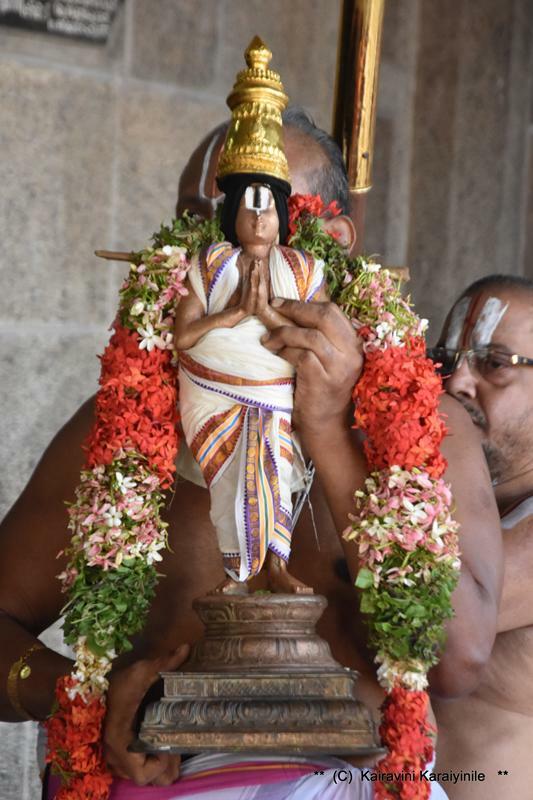 In this melee, there would be no purappadu for Sri Periyazhvar this time at Thiruvallikkeni ! !